Superior’s safety rating is second to none. We are a authorized Miller distributor and carry their entire product line. All Miller products are designed and tested by full-time qualified engineers and technicians. 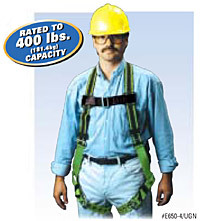 Miller fall protection products meet all applicable OSHA, ANSI, and CSA requirements and standards. We are featuring a few items here that are our most popular sellers. 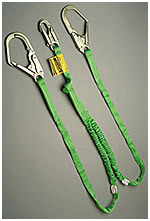 Contracts 6 ft. [1.8m] to 4 ft. [1.2m], Manyard II Lanyards greatly reduce the chances of tripping, snagging or dragging. 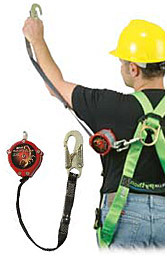 The lightweight, compact design of the 9 ft. (2.7m) Miller Scorpion Personal Fall Limiter provides workers an affordable alternative to shock-absorbing lanyards. 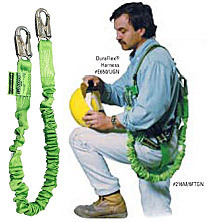 In a head-to-head comparison with shock-absorbing lanyards, the Scorpion web retractable requires less fall clearance, offers greater mobility and prevents tripping hazards. Anchorage Connectors are designed as the intermediary for securing a connecting device to an anchorage. Careful consideration should be given to selecting a proper anchorage for ultimate safety. The anchorage should be easily accessible, located a safe distance above any lower obstacles and support 5,000 lbs. (22kN) per worker. 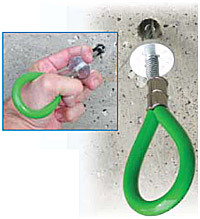 Portable/reusable anchorage connectors designed for use in concrete applications. These safety net systems are a retractable netting system that mount directly to the building or structure beneath where the crews are working. Support poles stick out from the building at an agle and hold a man rated safety net to catch someone if they fall. They provide added fall protection for workers ABOVE the nets and passive debris protection for workers below. They are great for use during renovation, adding additional floors. For more information on our Man Rated Perimeter Nets or safety products please call Superior Scaffold at (215) 743-2200.